I finished the book last night. Loved it! All of the stories were wonderful and being an Army Wife, I still took plenty away from each. There are stories that make you shed tears and moments that will leave you almost breathless. I highly recommend it to anyone who has someone close to them deployed. I would also like to recommend it to anyone who works with, lives close to, or is just wanting a better understanding of the sacrifice these families are making. Writing our stories bonded us together and we no longer felt alone! 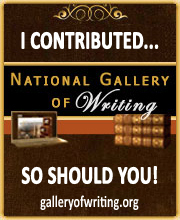 Check out this blog event for free prizes including copies of Love You More Than You Know. We would love to hear and share stories from all women left behind about your deployed loved ones. Send stories to storiesfromwomen@gmail.com. May 16th – May 30th. Being a Military Spouse myself I am familiar with the sacrifice, that we all make, that many times goes unnoticed. 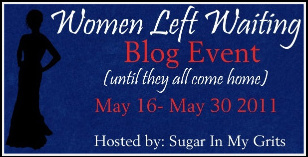 With my blog growing each week I have been wanting to hold a blog event & what better group of people to reach out to than those women left waiting for their military loved ones to come home. Busting their butts, trying to keep it all together, even when all they want to do is fall apart. This event is for all women related to someone serving in our US Military. This includes Grandmothers, Mothers, Sisters, Spouses, Fiances, & Girlfriends.